Jared Unzipped: So What Exactly Is Imitation Crab, Anyway? I just wrapped up a tasty dinner comprised of two eggs, chopped spinach, a few chicken tenderloins and imitation crab meat. A couple dashes of hot sauce and vinegar were tossed in for good measure. Needless to say, my tummy is full and I'm satisfied. My dinner got me to thinking, though... what exactly is imitation crab? Well, there's actually a fairly simple answer. Imitation crab originates from Japan. It was first marketed by Sugiyo Co., Ltd. in 1973. 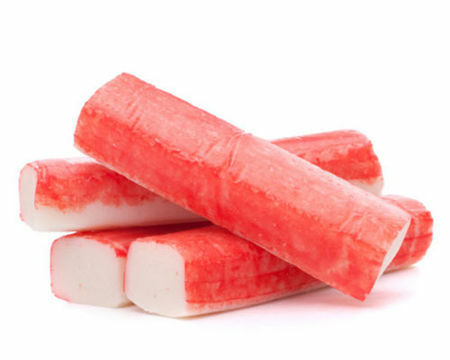 At that time, the name for it was kanikama (crab stick). That name is still in use within Japan. By the late 1970's. the crab substitute had crossed the Atlantic, where it began production in the United States. The rest, as they say, is history. In terms of ingredients, imitation crab is mainly a product of ground white fish meat, or surimi. The meat is then shaped into the form of a crab leg. To hold its shape, egg whites or the enzyme transglutaminase are used as a binding agent. Finally, crab flavoring and a food grade red dye are added. The end result is something that looks, tastes and smells an awful lot like crab meat, but isn't. I've enjoyed it for years -- it's so versatile for cooking with. You can add it to a salad, mix it with a stir fry, bake it in a casserole, construct a creamy crab salad or toss it with pasta. 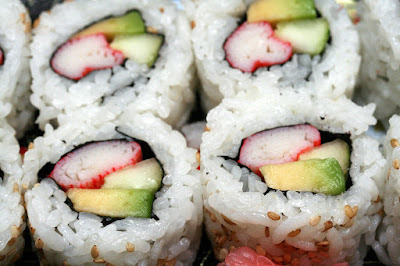 Of course, using it to prepare sushi is what imitation crab is most famous for. The next time you're looking for something a little bit different to prepare for a meal, give imitation crab meat a try. You won't regret it!